Unfortunately, too many hypnotherapists out there (almost) guarantee that they will make you stop, often after only one session. This creates an unrealistic expectation as to how easy it is to stop with hypnosis. Whilst a small minority of people are very responsive to hypnotherapy and may actually quit for a while after one session, they will often start again after a few weeks. This is because nobody has tackled the underlying reasons why they couldn't stop by themselves. Whatever was going on in their minds is still there. There is nothing rational about smoking! There is not one good reason to smoke, or not to stop. There are, however, scores of reasons not to smoke. You really don't need me to tell you again. If the need to smoke was coming from a rational part of your brain, you would stop in a heartbeat. There is no point in doctors trying to help people to smoke by simply explaining why they should. People know all this already. It may motivate them to want, or even try, to stop, but this approach doesn't help to acheive it. The need to smoke comes from the Unconscious Mind. This is the very secret, private part of your mind where all your feelings come from; all your memories; everything that's ever happened to you. This part of your mind is not rational. It doesn't respond to logical argument. (Consider the situation where you meet someone ... and you just don't like them. They don't feel right, somehow. There is no reason to dislike them - it just happens.) This feeling comes from somewhere. Something negative must have happened in the past. Some event that is being triggered by something familiar. It could be the colour of the person's shoes, or the way he or she stands. Another peculiar problem with the Unconscious Mind is that it doesn't really understand time. You feel feelings now! You're not hungry last year or next week - you're hungry now. The trouble is, this same part of your mind also thinks that you need to smoke. It feels that something bad will happen if you don't keep having cigarettes. There is no logical reason for this either - again, it just happens. The chances are that something happened, often in the dim and distant past, which created anxiety. If the event wasn't properly dealt with, it's still kind of "in the queue" to be dealt with - along with all the genuinely new stuff. In other words, traumatic events often remain stuck in the short-term memory. This means that the feelings of anxiety, fear, hurt, etc., feel as if they are in the present. Because the Unconscious doesn't understand what's happening, it associates the anxiety with the fact that you're not currently smoking. It sounds wierd - but there it is. As explained elsewhere in this website, there are two basic forms of hypnotherapy - Suggestion and Analysis (Psychotherapy). Good hypnotherapists will use both. As I stated above, some people respond quite well to suggestion alone, however pretty much everyone would benefit from Psychotherapy. This is the process of unearthing, and dealing with, those past events described above. It can be hard work, depending upon what has happened in your life. The point is that it lasts! 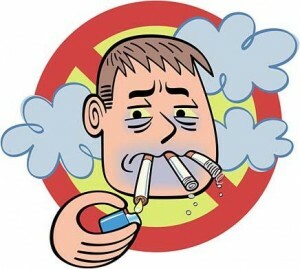 Once you have become a non-smoker, it's easier to cope with the occasional urge to smoke, even months later.